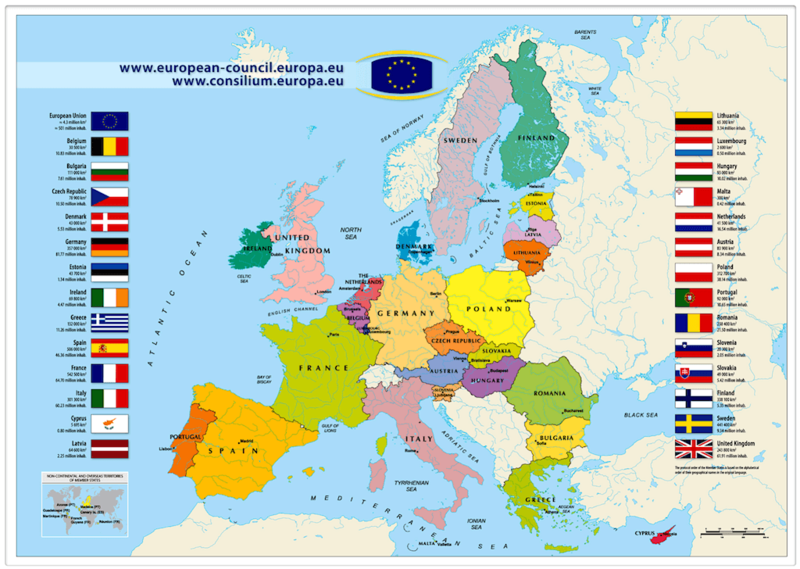 The European Union (EU) is a political and economic association of 28 European States which delegate or transmit by treaty the exercise of certain powers to Community bodies. It stretches over 4.5 million square kilometres, is populated with over 511 million inhabitants and is the world’s leading economic power in terms of nominal GDP, In 2019, the EU will have 27 states following the exit of Great Britain - Brexit. The Eurozone is a monetary area which groups the Member states of the European Union which adopted the euro (EUR, €) as exchange; on twenty eight Member states of the EU, nineteen use the euro. These nineteen countries represent more than 340 million inhabitants in 2017 for a GDP accumulated by 11 886 billion euros. The European Union has special relations with the European micro-states. These nations are all small sovereign political entities, but they have great heterogeneity in their political functioning. 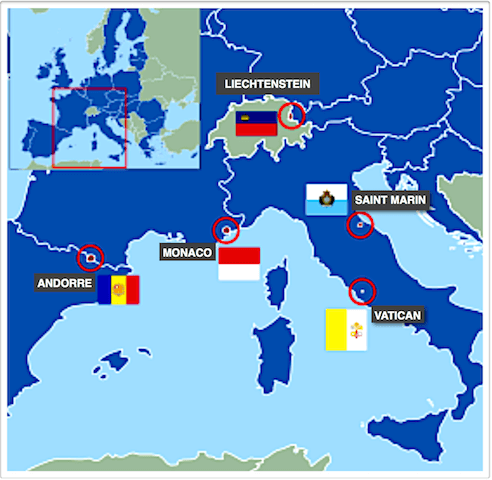 The Principality of Andorra, the Principality of Liechtenstein, the Principality of Monaco, the Republic of San Marino and the State of Vatican City maintain close diplomatic relations with European institutions. Andorra, Monaco, San Marino and the Vatican use the euro through a monetary agreement with the EU, and have obtained the right to issue a limited number of euro coins through previous monetary agreements with their neighbours. Liechtenstein uses the Swiss franc. 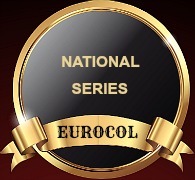 Which struck 55 national series representing 440 different coins following the criteria of Eurocol (to see presentation - Eurocol). The Euro is in circulation since January 1st, 2002, but the engraved Euro first ones date 1999. The notion of higher given "examplary" calls back that Eurocol does not take into account the vintage year of a coin : too voluminous on one hand and without big interest numismatics, because the coins of 2000 or 2001 of a Country are identical. As you saw it in " the common sides ", the European Central Bank asked in 2007 the Member states to modify the common face or European of all their coins. The concerned States thus emitted the second national series. These two series are thus different (because their European motive changed) and taken into account in Eurocol : the previous coins in 2007 carry an index - a. All the coins emitted by these States as from January 1st, 2007 carry an index - b. 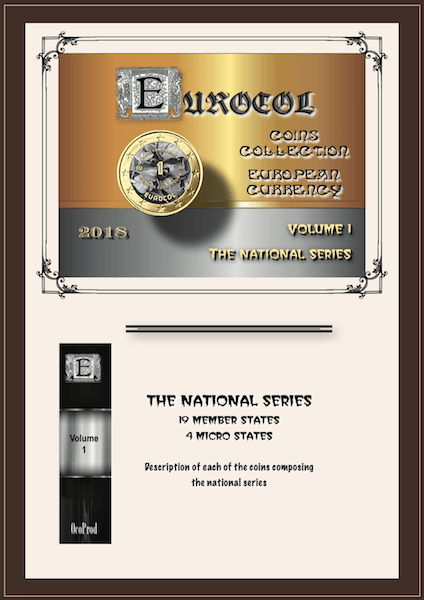 Four micro States, not member, are authorized to emit euro coins. They have only a single national series. The following board presents the number of national series taken into account in this collection and the total number of studied coins. Belgium, Luxembourg and Netherlands have in their Constitution, the obligation to make represent on the whole currency - rooms and tickets - the effigies of their leader, King or Queen. 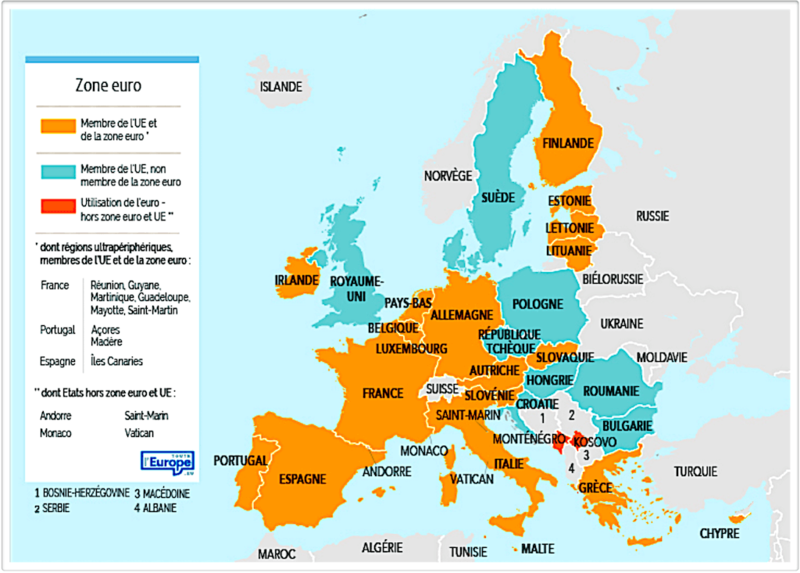 Besides nineteen Member states of the EU, four not member micro-states had the right to emit Euro: Andorra, Monaco, San Marino and Vatican City State. Two Countries: Kosovo and Montenegro use the de facto Euro, but have no clean national currency. 4 votes. Average: 4.00 / 5.